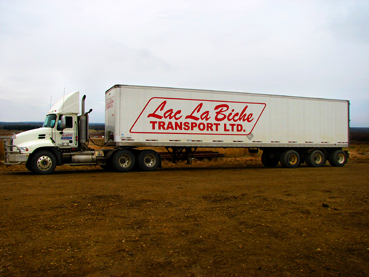 Lac La Biche Transport Ltd. has been providing freight services to North Eastern Alberta since 1953. Our goal is to provide our customers with high quality, competitively priced freight services. 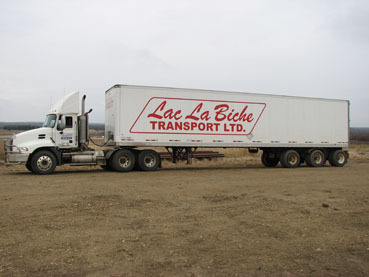 We provide truckload (FTL) and less than truckload (LTL) service to and from most points across North Eastern Alberta, including Lac La Biche, Plamondon, Conklin, Christina Lake, Anzac, and Cheecham, using our own fleet and a network of associated carriers to points beyond our daily transportation areas. Our extensive fleet of decks, vans, and reefers is available through our 24/7 dispatch. We are trained and licensed for the transportation of dangerous goods and our safety standards meet or exceed the requirements of federal regulations. 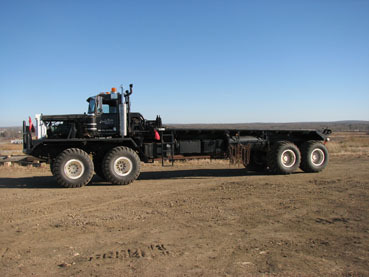 Lac La Biche Transport Ltd. has been providing Oilfield services across Alberta since 1963. 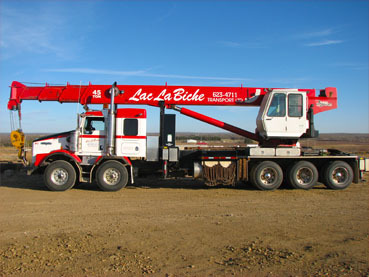 Our goal is to provide our customers with highly trained personnel to move drilling rigs and oilfield related equipment safely and efficiently.